Today I reflect on the title of this blog. A play on words, yes. But I really do need to speak frankly about something. 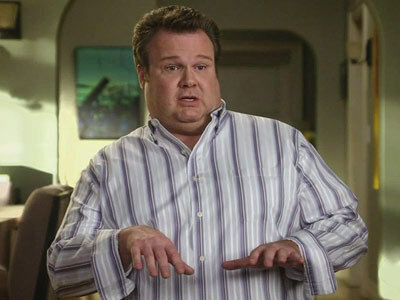 And yes, it will only perpetuate my friends' belief that I am startlingly similar to Cam on Modern Family. It could be potentially offensive to some. I will certainly have to deal with the repercussions later. I don't like Audrey Hepburn. I am sure she was really nice. She is highly quotable. Fashionably speaking, she was definitely an icon of femininity. She had great bangs. But I can't really be swayed on this. I can't get through My Fair Lady without regret that Julie Andrews didn't continue on with the role she originated onstage. I can't get past the fact that it's not even her singing. In fact, I did some research to find out who actually did sing for Audrey in My Fair Lady. And, you won't even believe it! It's a woman named Marni Nixon. 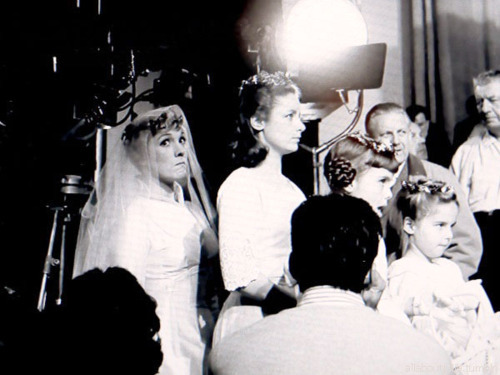 A woman you may recognize from The Sound of Music, because she played the sweet Sister Margaretta. it wasn't Marilyn's voice you heard singing 'Diamonds are a Girl's Best Friend' in Gentlemen Prefer Blondes. Do you feel betrayed? Do you wish to seek justice for this voice of Hollywood? 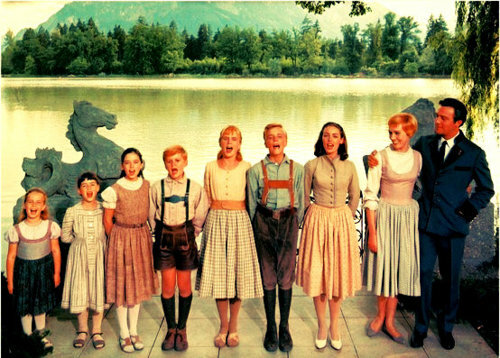 So pardon me, while I am painstakingly loyal to The Sound of Music. Because Julie and Marni are both in it, SINGING WITH THEIR OWN VOICES. 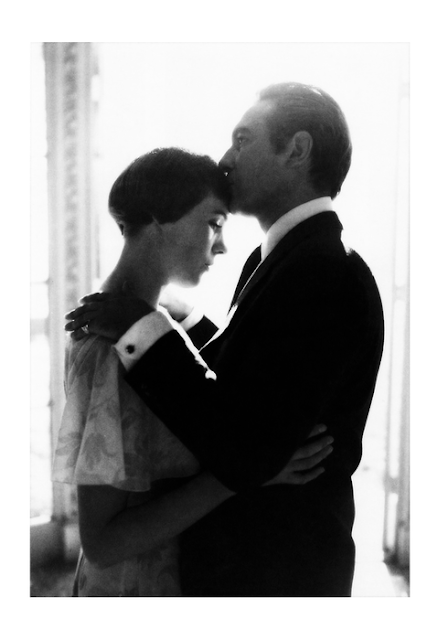 so I read a Julie Andrews biography years ago and remember a mention of Marni's name. It's amazing how much she did and how few people know of it. 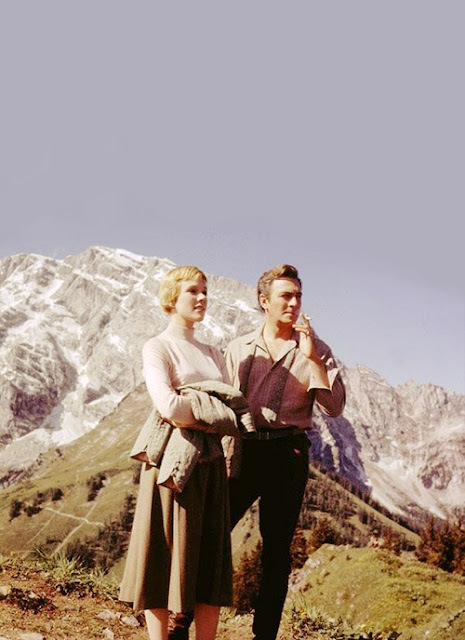 I have always been a big Sound of Music fan and love it even more for giving M a face after all that time. Also I'm planning a trip to London and would love nothing more than to go back to the 1960s and see Julie performing as Eliza. that would be amazing. ps. the outtakes are terrific! I actually have a Julie Andrews biography that I've owned for years and never actually read. I wonder if it's the same one! I just think she's so lovely. 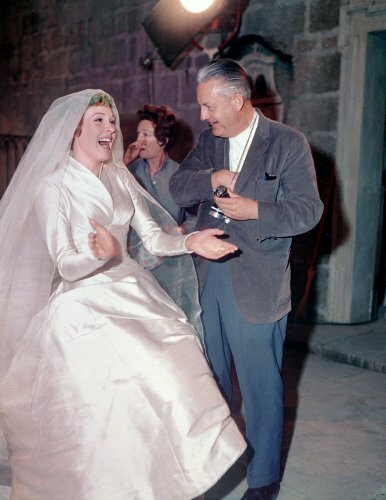 I mean, she got to be Maria Von Trapp AND Mary Poppins. Consecutively. It is too much greatness. Did you see the Oprah special with the cast reunion? I cried. No shame. London! I want to go! Still wondering why I haven't gone yet. I've always known that Audrey Hepburn wasn't singing in My Fair Lady. And my heart breaks a little every time I think about it. 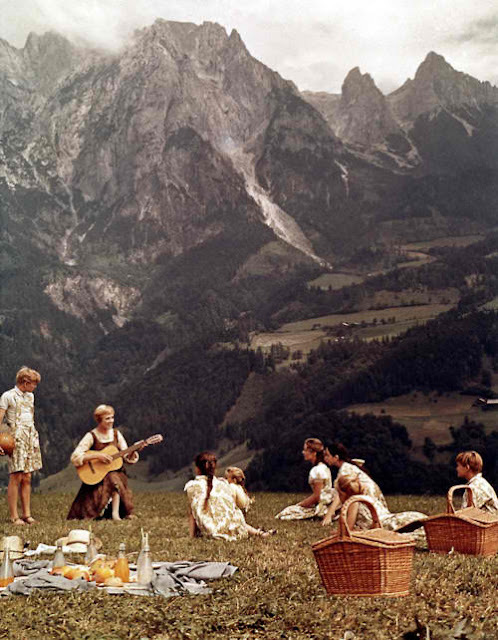 But Sound of Music will always be my first love. It's incredible! 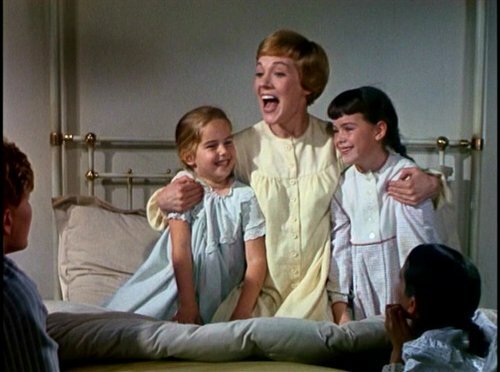 And Julie Andrews is one of a kind. I adore her! And I adore your blog! :) Can't wait to keep reading. Hey, girl! I'm glad you like it - that's so encouraging! To be fair, I think Audrey definitely had a charm about her - I just grew up loving Julie. So I think there's some loyalty there I won't ever be able to shake. I LOVE THIS POST! I'm pretty much obsessed with the Sound of Music. 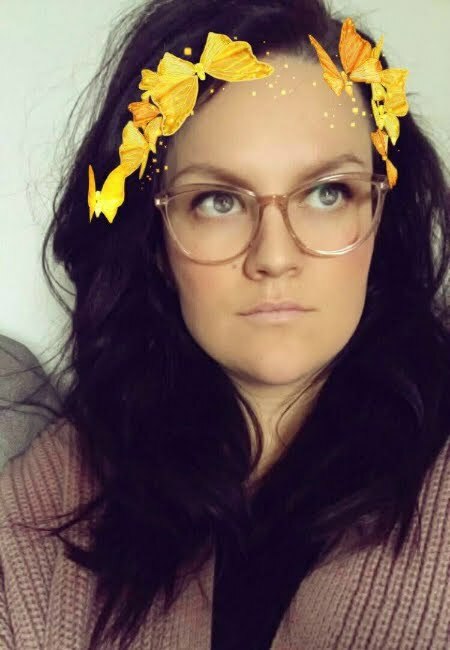 Just hopped over from Megan's blog, I'm your newest follower! Well hey girl, hey! So glad to have you. I too, am deeply obsessed. I think I could watch it right now and then just start again from the very beginning. A very good place to start. Your blog is a pretty one. Love your design aesthetic!